The Kingdom has one of the lowest numbers of eye specialist doctors per capita in the world, with approximately only 50 ophthalmologists catering to its 15 million population. That is roughly translated to only one ophthalmologist for 300,000 people. The shortage of specialists is disconcerting as the scenario in present-day Cambodia is quite demanding. According to non-profit group Khmer Sight Foundation, over 180,000 Cambodians are blind. Adding to the figures, an average of 10,000 Cambodians are suffering from avoidable blindness each year. 75 percent of them are blind due to untreated cataracts while the rest suffer from uncorrected vision, glaucoma, corneal scarring and pterygium. For the past 10 years, Khmer Sight Foundation has been trying to close the gap by “importing” foreign experts to train the next generation of eye care health professionals in Cambodia, on voluntary basis. 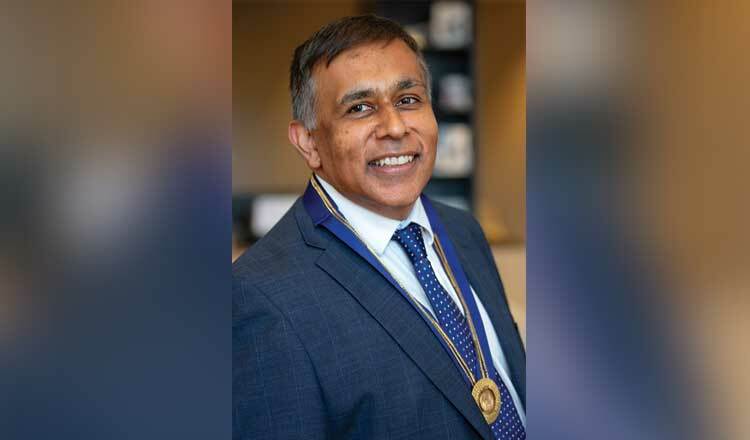 One of those pushing for change is world-renowned British ophthalmologist Prof. Sunil Shah, who now serves as the foundation’s International Medical Director. “For the last two years, H. E. Sean Ngu (the founder) and I have managed to get nearly 200 international and respectable surgeons to come to Phnom Penh to help the people who have very little. “We encountered many heart-warming stories: such as a husband and wife with vision so poor that they both needed help with feeding. After surgeries, the duo were finally able to see each other and their grandchildren again for the first time in 10 years. “Whilst we are happy to help, it is not sustainable for Cambodia to bring in foreign surgeons to do the work. We need to train the local doctors and help expand the training scheme,” he told Khmer Times in an exclusive interview. Now, Prof. Sunil assumes the central role in the foundation by monitoring its operations, quality of services, standards of medical practices and equipment, among others. Thanks to his excellent reputation in the global medical scene, he has been able to attract a number of high-profile surgeons to volunteer at the foundation. “The fact is that these international surgeons have travelled at their own expense to donate their time to Cambodia, their biggest asset is their teaching ability, which is beneficial to the local medical environment. “When I do something, I devote my full attention and capabilities to it. 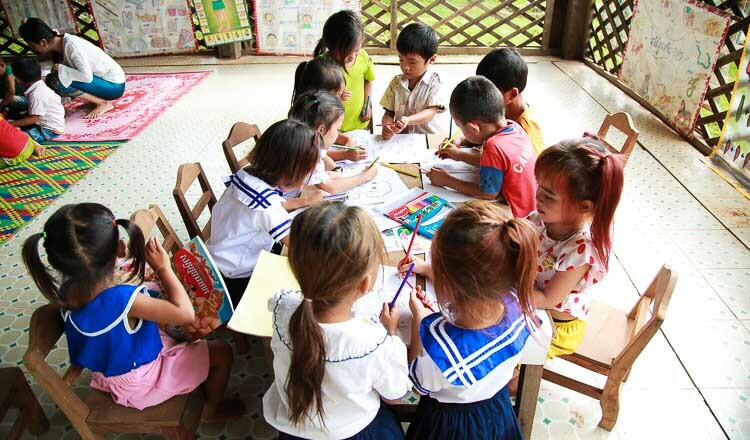 So Khmer Sight Foundation has grown, and at present we are running one mission a month,” he said. Prof. Sunil said that ideally, Cambodia should have at least 250 skilled ophthalmologists to match the number of its citizens with eye-related health conditions. “In the UK, we feel that we are very understaffed and yet we have over 1,000 surgeons and 10,000 optometrists for a population about four times that of Cambodia. “So we are talking about needing a five- to ten-fold increase in the number of surgeons in Cambodia to match the normal demand plus an extra number to tackle the massive backlog of untreated patients,” he said. Prof. Sunil, who is one of the 100 most influential in the field of ophthalmology (The Ophthalmologist’s 2018 Power List), said the best way for the Kingdom to move forward is to increase the number of local surgeons. “We can have a few hundred surgeons coming in for a week at a time, but the problems within the country is that it’s too large for these groups to make a significant impact. In Cambodia, the backlog is at least 500,000 patients, yet there are less than 50 surgeons. This, he added, would gradually allow Cambodia to become self-reliant in providing high quality, safe and effective eye care. Prof. Sunil also expressed his hope for a strong collaboration between the foundation and local stakeholders towards delivering a vision: no Cambodian should be blind due to lack of access to skilled ophthalmologists. “Essentially, local stakeholders have been slow to engage with us despite the fact that our surgeons are very much on the top of their field in their own countries. We would like to engage more. “Stakeholders should also consider to provide their trainees or staff the opportunity to undergo our training programmes with no reservations. We provide training in the form of lectures and surgeries. Ultimately, we would like to be one of the hospitals on the training circuit. “It is not our wish to create a new training programme. We just want to work with the existing training programme to expand the capacity and supplement this with the skills that visiting surgeons bring,” he explained. Ultimately, he added, the Khmer Sight Foundation aims to establish a regional training center in Phnom Penh, which would not only benefit local ophthalmologists and hearing-impaired Cambodians but also others in the neighboring countries. Dr. Sunil said it is his hope to champion high-quality eye care services beyond the shores, to reach other members of the fraternity as well.